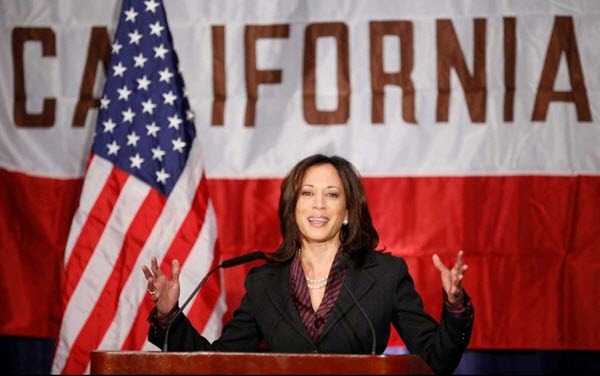 US Senator Kamala Harris of California is considered an up and comer in the Democratic Party and fully supported by the same establishment Democrats and their donors who backed the only politician in the United States who could have lost to one Donald J. Trump. The Democrats were banking on gender identity politics to win the day and Clinton’s history and policy positions would not matter. After rigging the primary against Bernie Sanders to give the nomination to Hillary Clinton, the Democrats don’t plan on changing their strategy as they double down to push not only another woman with a history that is almost as bad as Clinton’s when it comes to prison slavery but this time a Black woman. When the okey-doke continues to work on millions of people, I guess the establishment feels it should stick with what got Barack Obama elected, symbolism lacking substance. Sources: Kamala Harris: young, black, female – and the Democrats’ best bet for 2020?